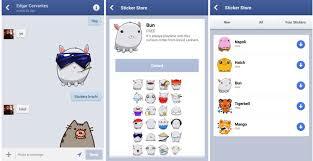 Facebook released the updated Messenger app for iOS, Android that it announced in late October. The update, which was originally rolled out to a few Android users only will now be available to all iOS and Android mobile users. The users will now be able to send or receive messages to anyone in their contacts who has the updated Messenger app and not just to those who are their friends on Facebook. As per the Messenger product manager at Facebook, Peter Martinazzi, the app will work more like SMS or texting and that its speed will also be improved than what it used to be before. “The new versions of the app were also built specifically for Android and iOS operating systems, meaning the icons, color schemes, and layouts were designed to feel more natural on each OS” said Martinazzi. The text messaging aspects of the update is for sure going to benefit Facebook in the long run when it comes to its mobile user growth. Usually, in most of the countries, the mobile users are charged for every SMS they send through their mobile however a free and faster messaging service like Messenger will help them get rid of these charges.